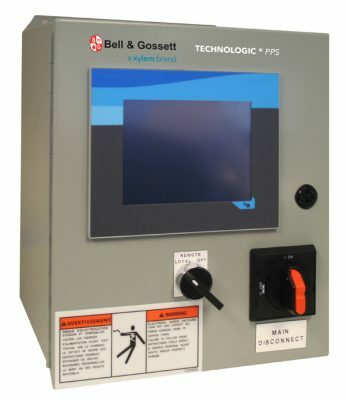 When paired with the Bell & Gossett e-80 and e-1510 hydraulic pumps, the Technologic PPS parallel pump controller allows you to set up a parallel pumping system – up to eight pumps – and optimize for efficiency. 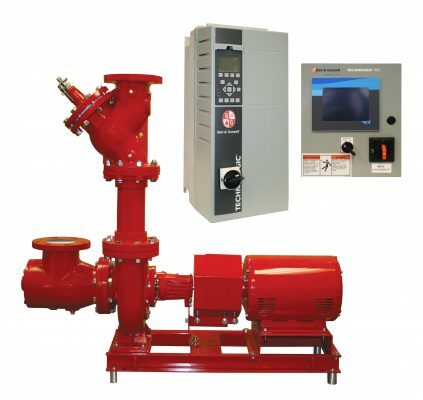 It comes with more standard features that other comparable systems such as color touch screen, real time display of control and system curve and the Bell and Gossett entire pump library inside. It can be used for retrofit and new installations, thanks to the ability of the controller to use either sensored or sensorless input. Add the advanced Technologic IPC variable speed controller to the system for smooth, high-efficiency operation. 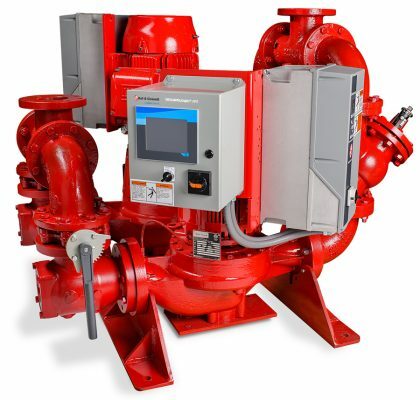 It provides variable flow or pressure control for changing system needs, can manage systems from 3/4 hp, is easy to program, and is designed for both indoor and outdoor site conditions. 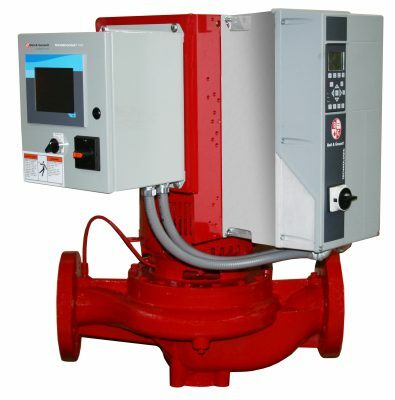 And have confidence in the field knowing the system is factory calibrated and the performance has been validated to meet customer requirements. Select the most efficient hydraulic configuration using up to eight pumps in parallel operation. Achieve greater system efficiency with sensorless control. View actual system performance via real-time graphical displays of the hydraulic pump curve, system curve and control curve. Stage individual pumps on/off more effectively thanks to the largest hydraulic efficiency range. Intuitive touch screen that’s 40% larger. Large visual menu architecture make commissioning and service easy.